If you’re cutting down on fats, but love chips way too much, then this is the hack for you! 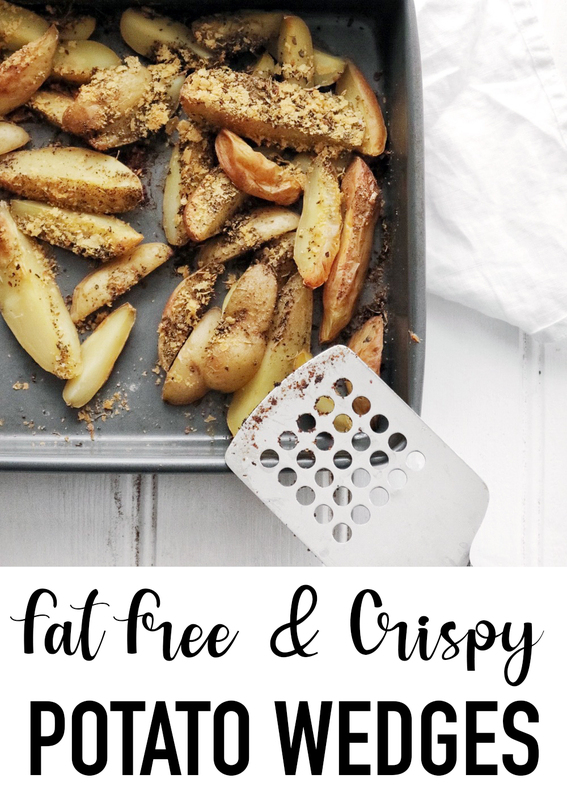 I don’t even remember where I first saw this cooking hack, but I have been using it for about 3 years – not only for fries and wedges, but also for virtually fat-free crispy roast potatoes . Growing up my mum always used to remove the skins from the potatoes she cooked, but since I’ve been cooking my own, I’ve been a skins-on person. It’s important to scrub the potato skins properly, ideally with a brush – I use a bamboo brush to scrub all my veggies before cooking them. Let me not keep you any longer from this magical cooking hack – find the recipe below! 1. Get 2 litres of salted water to the boil. In the meantime wash and cut your potatoes to the desired serving size. Preheat your oven to 220 C.
2. Add the baking soda to the boiling water, gently stir and then add your potatoes to the water. 3. Boil the potatoes for about 5 minutes, then take them off the heat and remove them from the boiling water. 4. 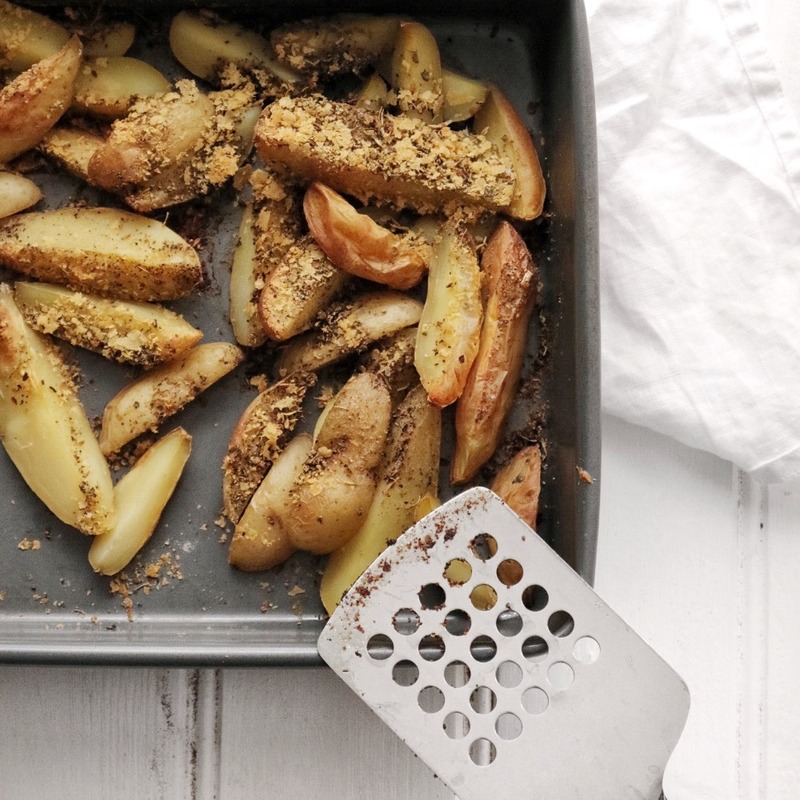 Add the potatoes to a baking tray – make sure that you either use a nonstick tray or add a baking sheet. As we’re baking without oil, the potatoes could otherwise get stuck on the tray. 5. Bake the potatoes in the oven until golden and crispy. The baking time may vary depending on the thickness of your chosen potato pieces, so make sure to check in every 5 minutes and move the potatoes around on the tray every 10 minutes. 6. Once the potatoes look almost ready season them with salt & rosemary and leave them in the oven for 3-4 more minutes. 7. Remove from the oven, sprinkle with nutritional yeast and serve!